You have many adoption options, and this is the perfect place to begin exploring them. Below, you’ll find South Carolina adoption laws and policies and find adoption agencies and attorneys who work with families in South Carolina. Each state maintains its own adoption policies, so the process can vary considerably for families in different states. As a South Carolina resident, you’ll want to work with an adoption agency or adoption attorney who is very familiar with South Carolina adoption laws and policies. Below, you’ll find adoption agencies and adoption lawyers offering services to South Carolina families. Scroll past the listings to learn all about the legal guidelines for families adopting in South Carolina whether you’re adopting a newborn through domestic adoption, an infant or older child from U.S. foster care adoption, or a child through international adoption. Who Can Adopt in South Carolina? A South Carolina resident (or a nonresident if the child has special needs, is being placed with a relative, has one adopting parent in the military and stationed in South Carolina, would benefit from an out-of-state placement, has been in foster care for 6 months or more). 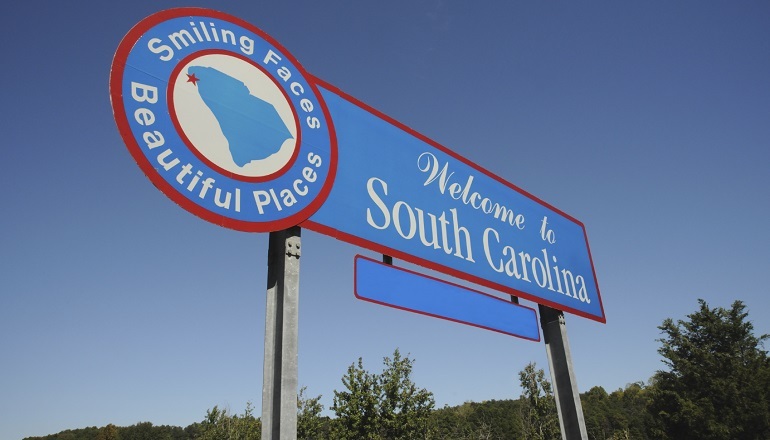 Nonresidents must finalize the adoption in the South Carolina Family Court. Can adoptive parents advertise for birth parents? Yes, but in order to do so, adoptive parents must have an up-to-date homestudy report that approves them for adoption. Can out-of-state residents finalize an adoption? Yes, it is required. Can adopting parents use an adoption facilitator or another paid intermediary? Yes, but any payment for services is subject to the court’s approval. What birth parent expenses may be paid, and in what time period? Medical, legal, living (receipts required). Reasonable time period. Reimbursement of fees for required investigations, guardian ad litem, child-placing and child-sending agencies permitted. Is there a putative father registry? Yes, it is called the “Responsible Father Registry” and is maintained by the South Carolina Department of Social Services. When can consent to adoption be granted? No minimum time. In practice, usually at least 24 hours after birth. When does consent become irrevocable? If consent is revoked, is return to birth parent automatic? Consent is irrevocable immediately unless birthparent can prove consent was involuntary and withdrawing consent is in the child’s best interest. In practice, return automatic. Is a foreign adoption decree automatically recognized by the state? Yes, when the State receives the final decree of adoption. Can parents readopt in this state? Is it mandatory? Yes, it is referred to as “domesticating a foreign adoption”. It is not mandatory, but strongly encouraged. When will a U.S. birth certificate be issued? The State Registrar will issue a foreign birth certificate after the adoption is decreed by the South Carolina Family Court and upon receipt of proof of the child’s date and place of birth, as well as the Certificate of Adoption. Are adoption subsidies available? When do they start and how long do they last? Yes, subsidies are available for a special needs child, who is defined as having one of the following: 6 years or older if African American or of mixed race, 10 years or older if Caucasian, member of a sibling group of 2 or more being placed together if African American or of mixed race with 1 sibling who is 6 years or older, member of a sibling group of 3 or more children being placed together if African American or multiracial, member of a sibling group of 3 or more being placed together if Caucasian with 1 sibling who is at least 6 years or older, member of a sibling group of 4 or more children being placed together if Caucasian, or member of a sibling group of 2 or more being placed together with 1 sibling who is special needs. In addition, the child must be in the custody of the state of South Carolina. Subsidies begin at adoption placement.